Ice Cream is a HUGE weakness for our family, especially on hot Georgia Summer days. Sadly the ice cream truck is a thing of the past. Well at least the clean, non creepy ones. Seriously the only ice cream truck that drives around our neighborhood plays Christmas music and is filthy. Thank goodness there is a Walgreens only 10 minutes from the house. 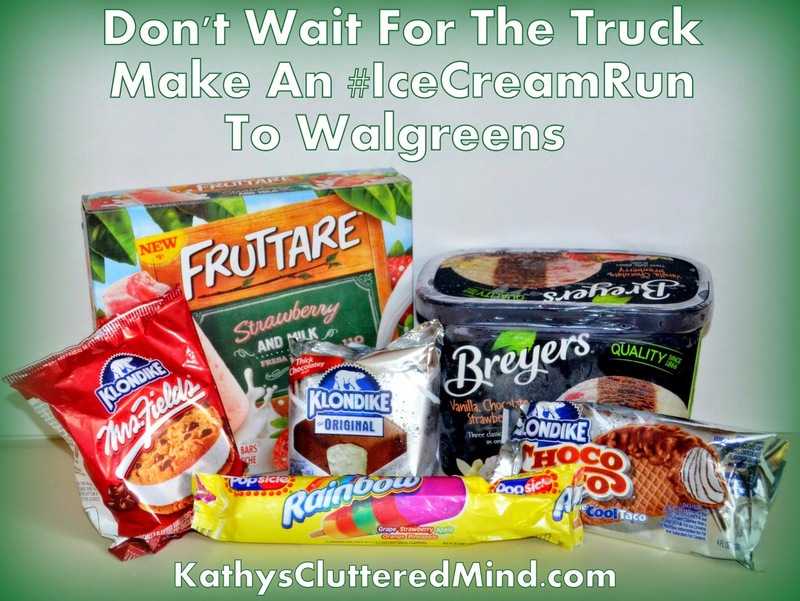 A few days ago I made an #IceCreamRun to Walgreens to satisfy our craving and pick up some of our favorite Unilever brand ice cream treats for a family ice cream party. 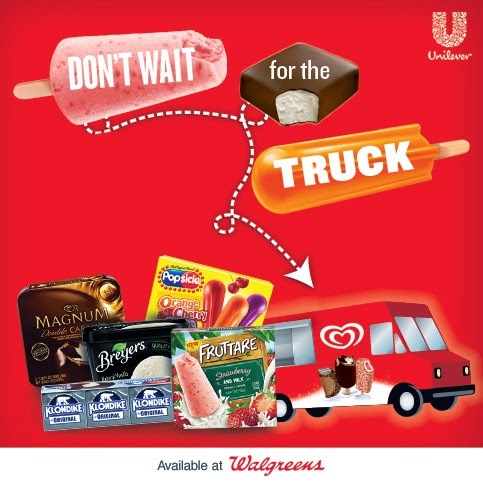 Did you know that Unilever brands include Magnum, Fruttare, Popsicle, Breyers and Klondike. There were so many options I had a hard time choosing. So I decided to go with a variety, that way I was bound to please everyone. I got a container of Breyers Neapolitan Ice Cream, a box of Strawberry and Milk Fruttare Pops and several individual treats including 2 Rainbow Popsicles, a Klondike Original bar, a Klondike Choco Taco, and a Klondike Mrs. Fields Ice Cream Cookie Sandwich. I got all of this plus a bottle of chocolate syrup, (because you cannot have ice cream without a tasty topping) for a little under $20! After dinner that night it was time for our family ice cream party. After much deliberation the children choose to go create an ice cream sundae topped with a cookie and chocolate syrup. I went right for the Choco Taco and my husband had the Mrs. Fields Ice Cream Cookie Sandwich. My favorite item out of the selection we tried was the Choco Taco. It was crunchy, sweet and chocolaty. And the ice cream was so creamy. It is totally my new addiction! The children loved the Strawberry and Milk Fruttare Pops which are oh so creamy and filled with real strawberries. They begged for these at breakfast, lunch and dinner. My husband loved the Mrs. Field's Ice Cream Cookie Sandwich. He said the cookies were amazing and the ice cream was creamy and delicious. And because I made an ice cream run to Walgreens and not to the ice cream truck our party was able to continue all week long! Because there were more tasty treats waiting to be devoured in the freezer! Ice cream totally makes any night a party! 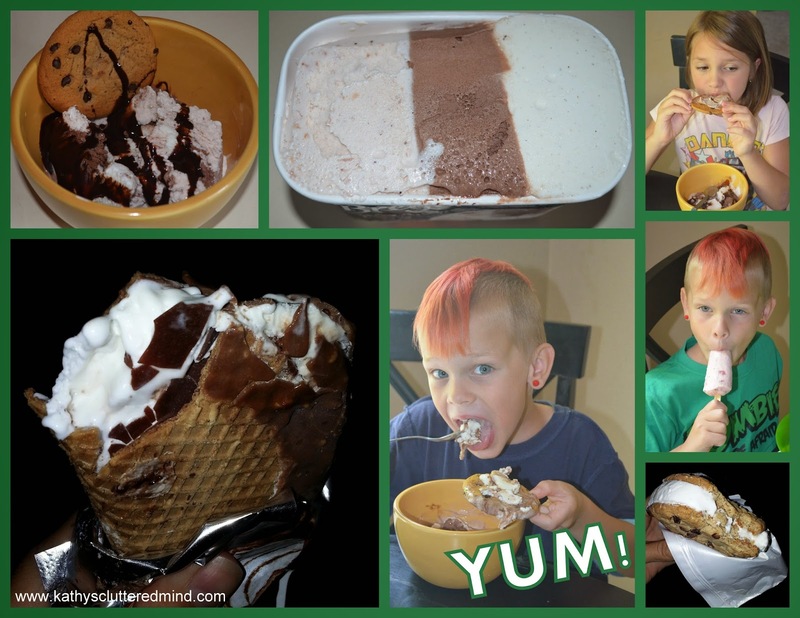 Do you have a favorite ice cream treat? I’d love to know what it is, leave a comment below! 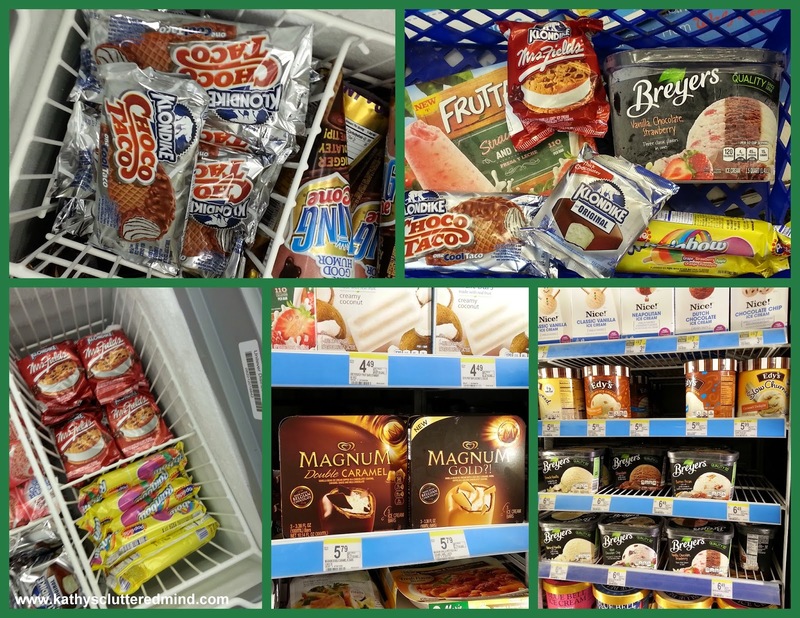 I was sponsored by Global Influence to write a review regarding Walgreens and Unilever brand. All opinions are mine alone. For more information please read my full disclosure page.